Al Khor City has been commended for its expression of local heritage and culture, scoring three out of three in the Global Sustainability Assessment System (GSAS) from the Gulf Organisation for Research & Development (GORD). Al Bayt Stadium is the first stadium to receive this score for its contribution to heritage and cultural identity. Inspired by traditional Qatari tent, the stadium is being rewarded for its unique consideration of local cultural heritage. Under its lightweight canopy rests an elaborate structure which ensures limited energy demand and coolings systems to provide comfort to all visitors and sportsmen. While GSAS is a regional assessment system, it puts extra emphasis on creating sustainable, green structures in the specific conditions of the Middle East and North Africa. 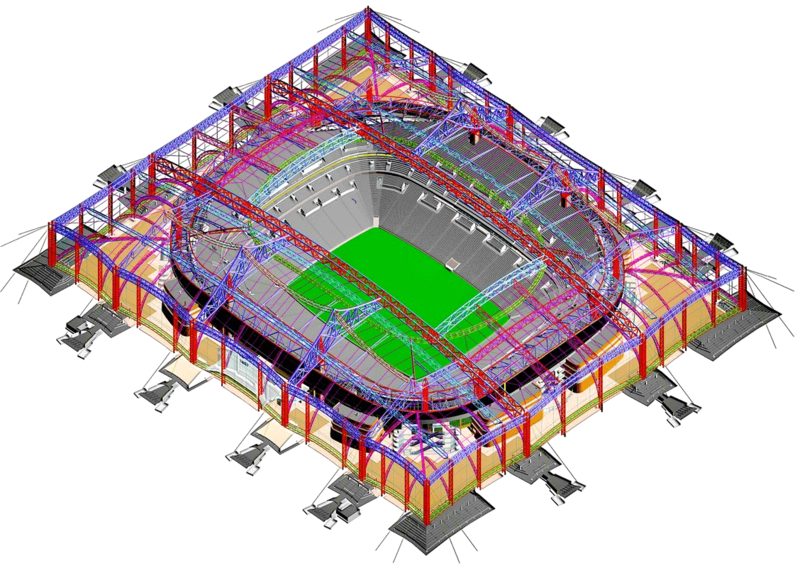 Al Bayt Stadium was planned with the highest GSAS marks in mind before construction even began. 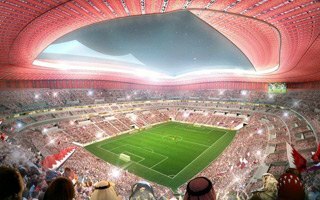 During the 2022 World Cup Al Bayt Stadium will be the second largest across Qatar with approxiate capacity of 60,000. However, following the tournament only 32,000 seats will be left in use. 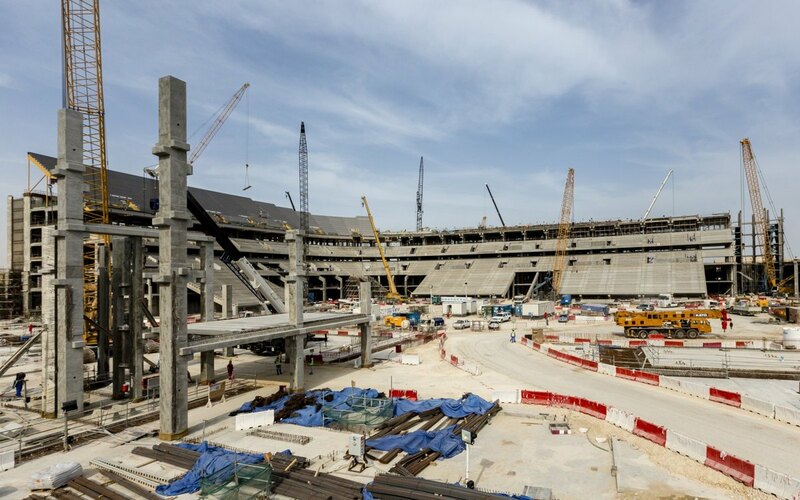 Currently the stands are well beyond 50% progress rate and delivery of the stadium is planned for September of 2018, four long years before the World Cup. Surrounding the stadium, a new precinct will serve the wider Al Khor community. In addition to retail space and restaurants, the precinct will include landscaped paths for residents to use as horse-riding, cycling and jogging tracks, making the stadium complex an integral part of local life.